The laser tube of the laser die board cutting machine is a vacuum device. The air tightness of the laser tube of the laser die board cutting machine plays a crucial role for the performance and life of the laser die board cutting machine, and the air tightness of the laser tube of the laser die board cutting machine is ensured in addition to the production process. In addition to the special requirements, proper storage and maintenance are necessary. 5. It is forbidden to store radioactive and volatile substances at the same time. 6. Stacking height of small packages not more than 9 layers, the whole box packaging shall not be greater than 3 layers. 7. Avoid heavy objects falling impact. 1. 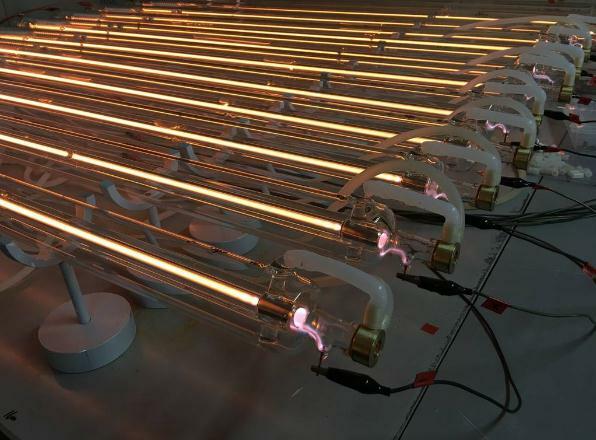 It is a normal phenomenon that the laser tube of a laser die cutting machine attenuates 5% of energy every year. 2. The laser tube of the laser die cutting machine must not be operated once every month for a long time without working. 3. The output lens of the laser tube of the laser die cutting machine as much as possible with moisture-proof, dust-proof objects sheltered.